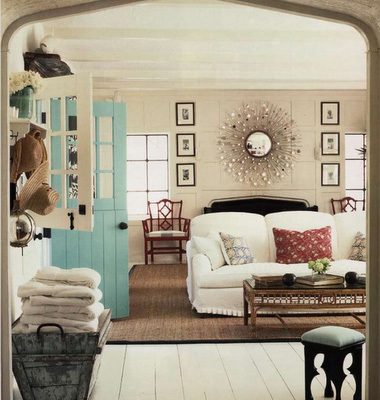 I'm dreaming today about all of these lovely painted doors. Beautiful buttery yellow. I love the distressing near the bottom of the door. 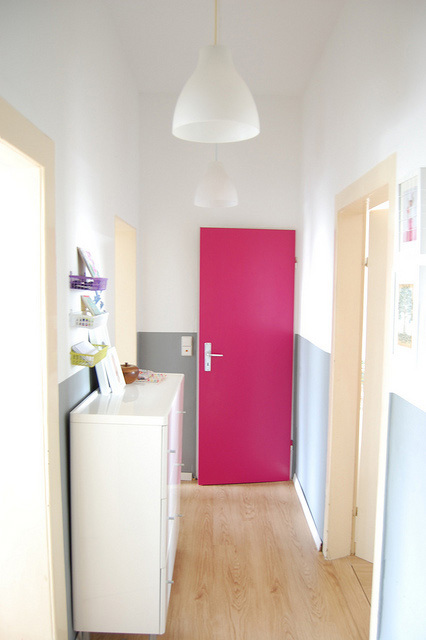 A gorgeous modern pink door. I don't think this is something I would ever do but it is so lovely and bold. Green? This door reminds me a bit of celery. I love all of the contrasting white around it. Red, oh gosh yes please. I love a red door. 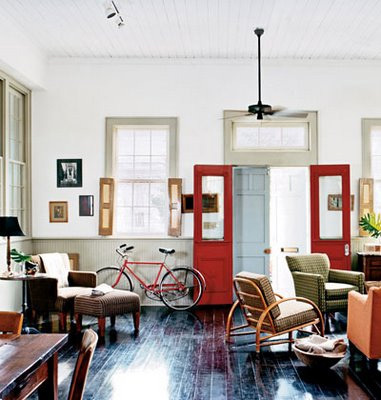 Usually you see red as the front door, but I love that this pop of red is inside. 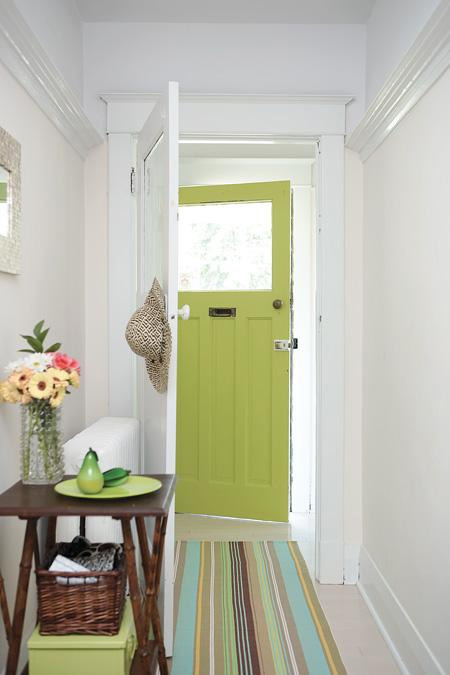 This last photo is my favorite painted door inspiration. Doesn't this space look nesty? I love that little basket to the left with linens in it. All images are sourced from A Design Story. Have a wonderful start to the week! Summer has finally hit here and we are expecting some warm weather. I love the yellow door! !